It’s official now. We knew it was coming but despite the huge fee there’s a tinge of sadness and a little anxiety in the air. Luis Suarez is undoubtedly irreplaceable. There are literally just two players in the world who would be fit to lace his boots. We know who they are and £75 million would not prize them away from their respective clubs. In order to deal with this problem the club should look back to when Luis arrived. In January 2010 we were facing up to losing Torres, who was very much the finished article. Suarez on the other hand was not, but importantly he had the potential to become a superstar. Liverpool parted with a relatively modest £22.8 million for his services and he chipped in with four goals in 13 games. The following season he managed eleven and was criticized by many pundits for having a very poor shot to goal ratio. We were also treated to commentators claiming he ‘was not a natural goalscorer’. Of course, such claims seem ridiculous now, but there are lessons for us to learn in all of this. The club are reportedly looking at a number of striking options to replace Luis Suarez. One name that has caused uproar among a section of our support, is Wilfried Bony. The objection seems to be that he is not of the quality of Luis Suarez. Well, no he isn’t, but neither was Luis himself three and a half years ago. What we can say with confidence is that Bony is a natural goalscorer. After joining Swansea City in 2013 he has plundered 25 goals in 48 games. This is better than a goal every other game. He has achieved this with a team that finished 12th, winning just 11 games. More importantly, from Liverpool’s point of view, he has done it in one of the toughest leagues in in European football. Therefore signing Bony, means no frustrating period of adaptation. This is surely crucial if the club are to kick on quickly and take that important next step to the title. Another argument against signing Bony is that the club needs a ‘marquee signing’ in the aftermath of the Suarez sale. Aside from PR, I really can’t see why this should factor into Brendan’s thinking. Of course a big name signing can work wonders. It can also sell shirts. They can also spectacularly back-fire. Ask Chelsea fans. I am sure they were jubilant with the signings of Shevchenko and Torres, who cost a combined £85 million. It remains to be seen whether Paris Saint-Germain fans will be pleased with their recent Marquee signing, David Luiz. The only thing a marquee signing guarantees is an empty transfer kitty. In any case such talk ignores the tremendous progress of other players in the squad. Sterling, Coutinho and Henderson will all improve next time out. I would expect them to contribute more goals. Sturridge will also relish being centre-stage. His 21 goal haul last season was nothing to be sniffed at. There will also be improvements in defense. We may not need a 30 goal a season striker if we were to concede 20 goals less than we did last year. We may be better served, if we spent the bulk of the Suarez windfall addressing our obvious defensive frailties. 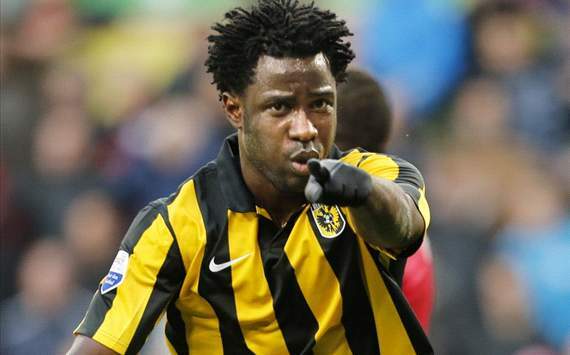 In the end Liverpool may or may not take Bony to Anfield. There are also links to Benzema, Martinez and Griezmann among others. The point is none of these players are at the level of Suarez. What matters is what can they offer the first team now? Can they improve under Brendan Rodgers? If they can and are able to reach even half the level of Suarez, they will be worth every penny we spend.